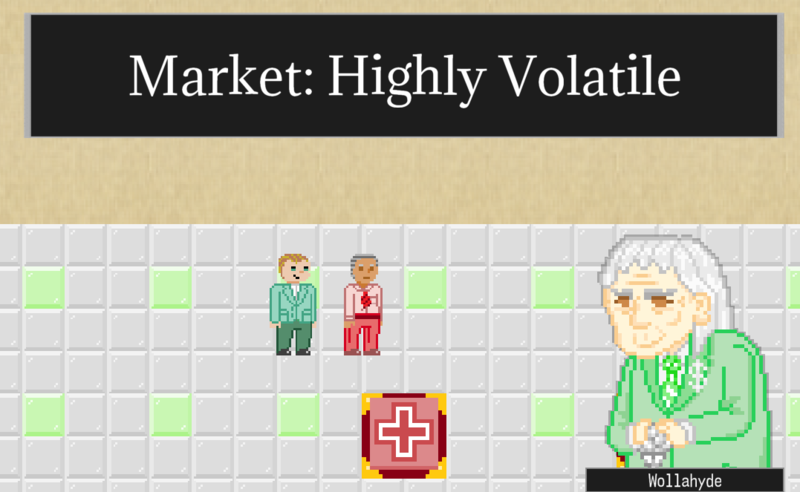 A short video boardgame (playtime ~5-10 minutes) with an emphasis on risk management for 1 - 4 players. 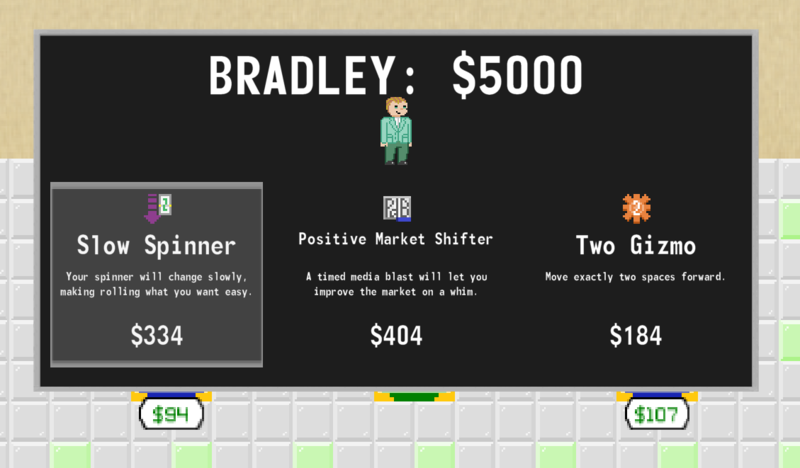 Wollahyde, a cunning businessman, insists the right prediction will make it big. He gives you a loan, and wants as much Palladium as possible, as fast as possible. 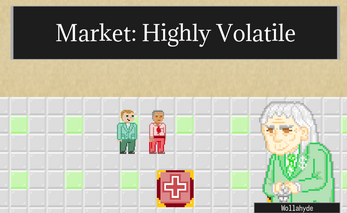 Each go around the board will see the market in different conditions -- it may be booming, or tanking. You won't know until AFTER you invest in Palladium Blocks, or PdB. Not to worry, however -- you are given the option to arm yourself with weapons against the unpredictability of the market. 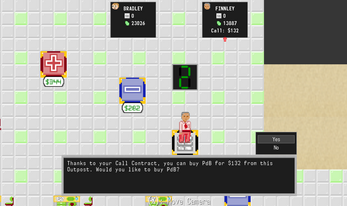 At the beginning of the game (or later if you are very lucky) you are given the option to buy a Call or Put contract. While you may be able to invest in fewer PdB, Calls and/or Puts can offer you peace of mind amidst a wild market. Calls ensure you'll never have to buy future PdB at a price higher than the contract states, and Puts ensure you'll never have to sell your PdB for less than a certain rate. Choose wisely -- play too safe and you won't win big, but play too risky and you may lose it all. Think the PdB market is going to be garbage for awhile? Why not hold onto your cash? You'll make interest on your account at the start of each turn. It's a small but constant cash flow -- and it matters more the more cash you have stored away. Once you reach the end of the board your assets will be liquidated and used to buy PdB at the price the market at that space will buy it for. At that point, you have two choices: stop right there and be content with what you have, or make a final wager. For a decent chunk of your hard-earned PdB, you can buy an Annuities contract -- you'll be paid a certain percentage of your PdB, in PdB, for every turn your opponents don't reach the end. Put some pressure on the competition and cash in on your high rolls! Music: WaveParadigm | Check out the Soundtrack!